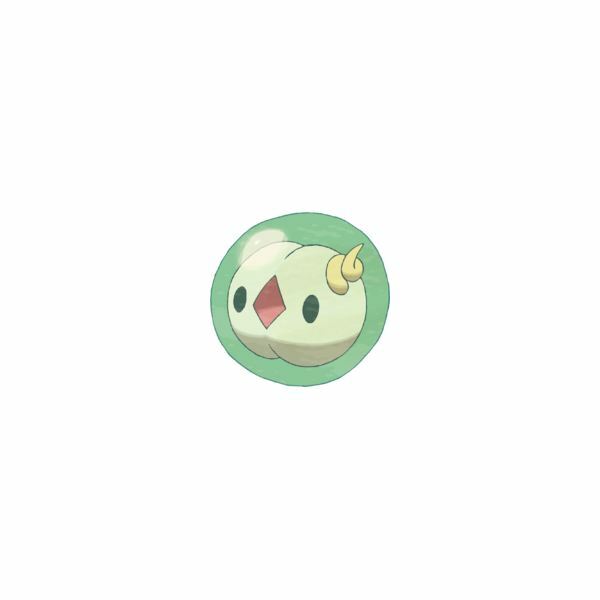 Solosis may look like a plant type Pokémon, but it is actually a psychic type with many abilities that can harm all sorts of other Pokémon types. This Pokémon looks like a baby form of what it evolves into, Duosion at level 32. After Duosion is Reuniclus, which of course has much more power than the tiny Solosis. This Pokémon basically looks like a little ball with a diamond shape mouth and two dot eyes. There is not much information on this Pokémon due to it being minuscule, but Solosis can definitely fend off Pokémon larger than itself. Solosis is pretty weak when its essentially caught. It has hit points of about 30 to 40, with an attack average of 32. Defense is around 40 with speed being the weakest link at 20. Solosis shines with special attack power however, having a whooping 120 stat. At level 50 this start goes up to 172, and at level 100 Solosis’ special attack can go to 340. This is a very large number that many Pokémon do not have when it comes to special attacks. Although it has one good stat, Solosis’ speed is still pretty slow at any level, only going as high as 152. Solosis is weak against three different forms, bug, dark, and ghost. Solosis can protect itself from these by using light screen, reflect, heal block, and wonder room. Being resistant against fighting and psychic types can give Solosis an advantage at those gyms that use fighting or psychic only Pokémon. This miniature Pokémon also has an advantage merely because only three types can harm it, while many Pokémon can be harmed up to four different types. When using Solosis against types it is weak against, you must keep in mind it may need to learn some TMs to defeat these Pokémon. 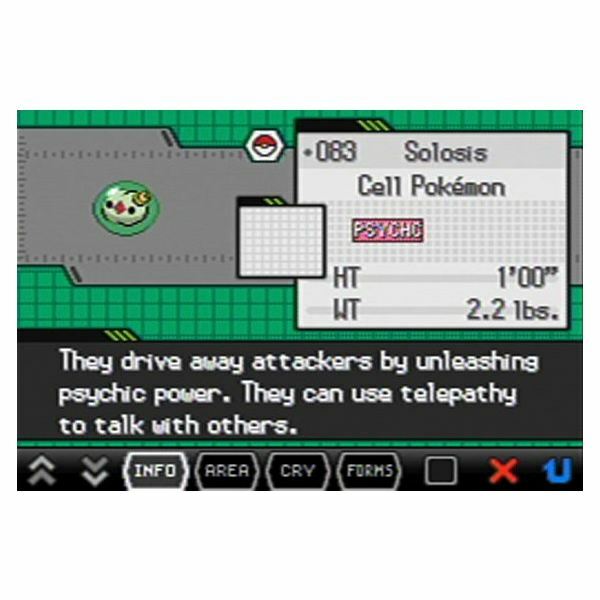 When fighting against bug types, Solosis can use rock tomb against them, a TM that can be found half way into the game. When fighting against ghosts, a ghost type TM like shadow ball will work into Solosis’ favor. Going against dark is the hardest for Solosis, since it can learn any moves that can weaken it. This is when using reflect and heal block comes in handy. The best skill this Pokémon can learn is wonder room which swaps defense and special defense between Solosis and the Pokémon its fighting against. This is the most difficult challenge merely because Solosis is just so weak. With some unique special skills like heal block and wonder room, Solosis is not half bad. Keeping it with all your other powerful Pokémon at the end of game may seem silly, but it can also be worthwhile just to say to your friends that you have a pumped up Solosis on your final team.